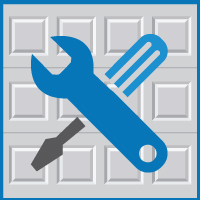 With the weather supposed to be bearable (mid-30s) this weekend, we at Blue Sky Builders thought that we would share with you a few quick fixes you can accomplish to ensure safety, security, and cleanliness in your garage. A properly balanced door is less likely to crush someone or something and keeps your door opener from working too hard. That’s why, with a quick inspection, you can prevent mishaps that could occur. LiftMaster Garage Door Openers offered this quick video on how to inspect the balance of your garage door. **Class D & Class K are made for industrial and commercial food service applications, respectively. The best option for garages would be a 10-pound Class B:C fire extinguisher that you could store near an entrance or workshop. For more information on fire prevention in garages, read our garage fire prevention tips. Stand inside the garage and close the garage door, paying attention to all the various moving parts — springs, rollers and hinges. Note the movement of the door parts and those on the overhead track system, as well as the garage door opening system, if there is one. Part of LiftMaster’s ‘Don’t Chance it, Check it’ Initiative is to inspect the eyes of the garage door opener and reversing mechainism. 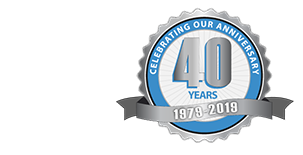 Be sure to contact your garage door professionals if you need assistance building a garage in the spring.